Helping space planners with more reliable and practical space drafting and modeling services, Outsource2india assures a better ROI on all drafting related requirements. We work with global construction houses, architects, and engineers to provide highly appealing and pragmatic space drafting options. We leverage decades-long expertise of our team to provide varied drafting and detailing services. By outsourcing retail space designing strategies to us, customers get the best out of their retail space with drawings to match their requirements. You can focus on core financial and operational activities while we take care of the retail space and drafting load off your shoulders. O2I is a leading provider of retail space designing in India, we provide 3D modeling and rendering service for retail space and retail space design companies. Our well-experienced drafting team has worked with many global retail chains and can provide a comprehensive retail space design services for existing buildings or develop a retail space design for a new store according to the specified requirements. Ours is a retail space drafting company whose expertise lies in developing construction documents to liaising with architects and ensuring compliance with all local and national codes along with regulations. 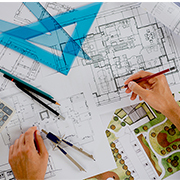 We simplify the entire drafting process, ensuring fast execution and substantial cost-savings. Being a leading retail space drafting in India, we work with retail merchandisers, architects, as well as construction consultants to provide the best possible solution to all retail space related requirements. Hence, we not only provide practical solutions, but also an aesthetically pleasing one. Design Detailing including Seasonal Rollouts, store refreshing, etc. Assigning Space to merchandise based on customer interest, popularity, etc. Ours is a 19-year-old retail space designing company which follow the latest and best practices for retail design and drafting that your money can buy. As part of our consultancy services, we actively support channel growth, profitability, and organized business expansion. At Outsource2india, we understand that designing a new store plan, refitting an older one, or merchandise drafting can be a stressful job because of the amount of details and technical specifications involved. Our highly-experienced project managers ensure that the retail design project not only adheres to strict deadlines, but also communicate daily with complete status updates. Communicating with architects, interior designers for corrections and changes etc. At Outsource2india, we provide comprehensive 2D retail space drafting as per the customers' requirement and can also turn it into a detailed 3D space rendering where customers can visualize the whole retail space plan. With the help of our 3D space renders, wall textures, color schemes etc., life-like conditions, and modifications are made before the draft becomes qualified as production drawing. Our 3D renders not only save scale modeling costs, but also ensure all modifications if required, are made on time. Understanding the unique need of each project, we devise a custom space planning process to meet all project requirements. Our proven project management process is a combination of industry's best practices and innovative strategies that ensure high-quality project delivery that exceeds client expectation. Receive input files - images, instructions, templates, etc. Execute using relevant software - AutoCAD, REVIT etc. Why Choose Outsource2india's Retail Space Management Services? Outsource2india's efficient drafting services for retail space planners are always up-to-date with the evolving retail trends. Many global clients consider our services to be one of the best in the business for maximizing the potential of a retail store and offering customers' a proper shopping experience. Talented and Experienced Drafters - Our drafters come with more than 500 hours of experience in designing retail space plan for restaurants, hotels, jewelry stores, banks, supermarkets, pharmacies, etc. Up-to-date Knowledge - Our drafters are familiar with BIM, and stay updated on other software that supports RSP including AutoCAD, REVIT etc. Outsourcing retail space planning to O2I can help clients' get access to a large, talented pool of skilled engineers and drafters. We have extensive experience in working for clients ranging from major supermarkets to small boutiques and fast food chains. This ensures highly accurate drafts of retail space plans that matches with business requirement. Outsource2india is a retail space drafting and design company with offices around the globe. We work closely with the space planning team to deliver retail space drafts by understanding business requirements. Based on a thorough understanding of business objectives, we provide an economical retail space draft and design that will suit all the legal and spatial requirements. Outsource retail space drafting and design and get access to accurate retail space drawings that enhances your business revenue. Contact us today to learn more about our efficient and effective retail space drafting and design services.